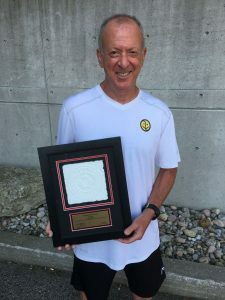 This past weekend celebrated the inaugural event for the Doug Philpott Inner City Children’s Tennis Fund namely, The Philpott TEAM Tennis Challenge. This event was a whole new tennis experience that involved players of all levels from across Ontario. Friday night participants were welcomed with an Andrew Peller Wines Cocktail Party which featured a special tasting of their Trius Wines. Players were treated to a Dunlop and Prince On-court Clinic, led by Mayfair Parkway Head Pro Andy Sutton. The participants were able to warm up their game, get tips from the pros and win some great on-court prizes! Saturday morning the tennis started early with over 110 players taking to the courts at Mayfair Parkway and Mayfair East. Players were guaranteed three TEAM and the format was a new and exciting experience for all! Each TEAM match consisted of 6 sets – One set each of: Men’s Singles, Ladies Singles, Men’s Doubles, Ladies Doubles and two sets of Mixed Doubles. Plus, Let Serves were in play and player substitutions were allowed at any time! TEAMs sat court side and cheered on their TEAMmates throughout the match. Many TEAMs wore matching outfits and went by catchy TEAM names like the Victorious Secrets and Love Hurts! Saturday evening the players took a break from their on-court activities and enjoyed a delicious buffet dinner prepared by the Mayfair Parkway chefs. Thanks to Kim Lowes, photographer and Catherine Babier, photo editor, there was a continuous slideshow, set to music, which featured the Friday night and Saturday participants, volunteers and Mayfair staff. The dinner was hosted by CITYTVpersonality Gord Martineau who gave a wonderful speech about the importance of the Doug Philpott Inner City Children’s Tennis Fund and the impact it has to children in need. The Chillers – Captained by Laura Borza. The TEAMmates included: Caroline Killeen, Claudia Voicu, Marius Voicu, Octavian Stane, Quinton Peterson-Paul, Samantha Mayer, Andrei Melchisedec, Kouros Gasemi and Tara Quigley. Sets in the City – Captained by Janice Gerardi. The TEAMmates included: Donna Wittmann, Venice Ma, Sarah O’Brian, Jade Hilton, Dan Romeyn, and Andrew Bourne. Serves You Right – Captained Mike Jauncey. The TEAMmates included: Andre Velloso, Wayne Ivey, Maria Lamon, Jill Eagleson and April Manahan. Waqued – Captained by Mary Nagai. The TEAMmates included: John Kwan, Rick Bianco, Colleen Pickett, Humphrey Tebit and Porjai Jansresattana. In addition to several gift items, the big prize for the winners in the A, B and C Draws was Quarter Finals Tickets to the 2014 ATP Rogers Cup in Toronto. Plus all the players on the Winning Teams will have their name in lights on the Big Stadium Board. Two Tickets to the Chairman’s Lounge Private Suite, including a “Behind the Scenes Tour” for the Quarter Finals of the 2014 Rogers Cup. And More … Over 40 Items in all! The Philpott TEAM Tennis Challenge was a resounding success. All the participants had a terrific time and wanted to know the dates for the event next year so they could mark their calendars. They concluded it was a well organized and exciting event and they are already looking forward to being part of the second annual. An event of this magnitude takes a huge amount of preparation. On behalf of the Philpott Board of Directors and the Philpott campers, congratulations and thank you to Sandra Barrett and her hardworking tireless committee, who included Ceciley Parker, Kelly Stobbe, Janice Gerardi, Lisa Conrad, Pauline Noteboom, Andy Sutton, Jennifer Silva and Jake Gold. We would also like to thank our wonderful volunteers who helped the week-end run very smoothly! A very special thank you to the Mayfair Clubs, most especially Jennifer Silva, Mo Shirazi, Sonny Dela Cruz and Michael Emmett for generously hosting the event and doing a fantastic job with the event set-up, court timing and dining. 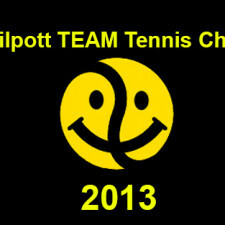 We look forward to seeing everyone next year at the 2nd Annual Philpott TEAM Tennis Challenge!